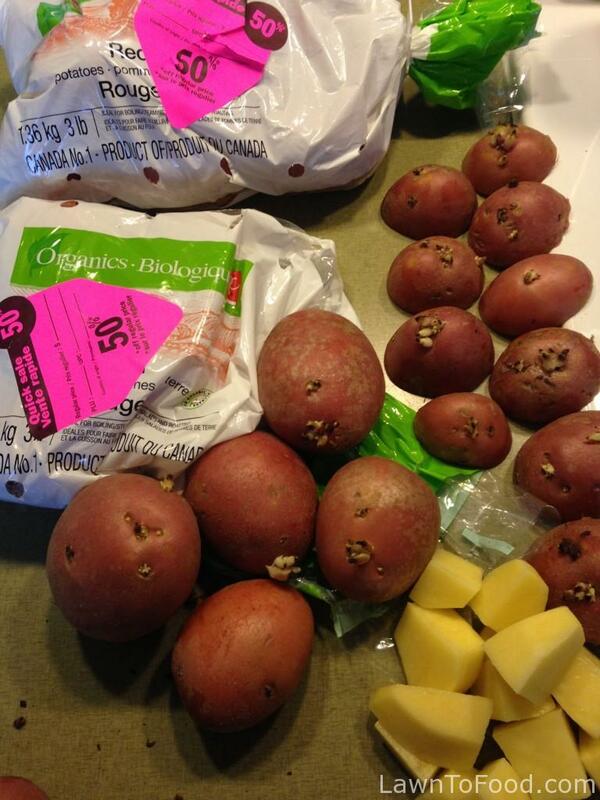 Recently, at John’s Your Independent Grocer, BC-grown, organic, red potatoes were on the 50% OFF rack, located at the back of the store. These spuds were firm, and unblemished, but they were starting to sprout eyes. Getting ready to reproduce is a very normal thing for potatoes to do at this time of year, so I took advantage of it. I purchased three 3 lb bags, which normally retail for $3.99, on special for $1.99 each. I used the On-Special Spuds in many different ways. Firstly, from each sprouting potato, I sliced off a 1/3 section that contained the most eyes. Then I peeled the other 2/3’s of the potato for dinner. There were enough prepared potatoes to feed my large family group Roasted Potatoes that evening, plus plenty of leftovers to use for next-day breakfast hash browns. Over 10 of the potatoes were firm, unblemished and not growing any eyes. I saved those ones; they are stored in my pantry for a future meal. 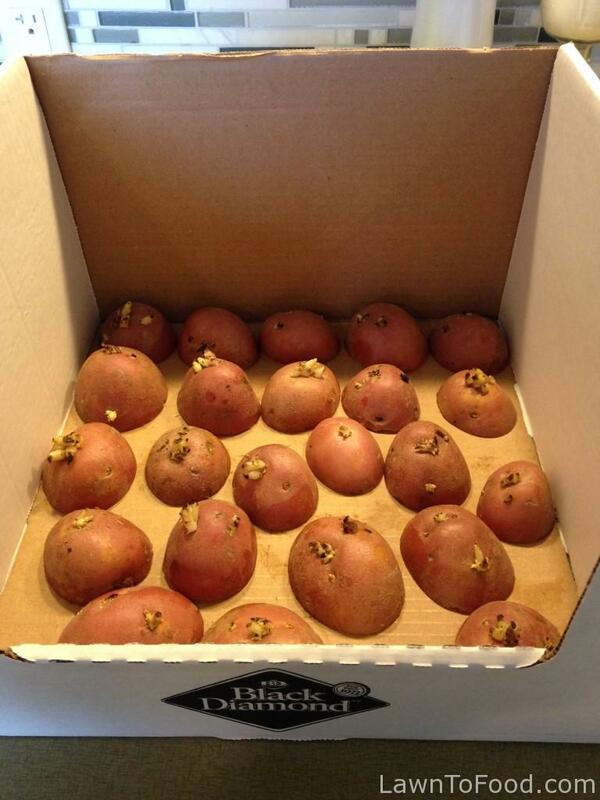 I took the sprouting potato chunks and placed them in a cardboard box. I intend to plant them in my spring garden, but it’s a bit too early to do that right now. I loosely covered the cardboard box with a paper bag for air circulation, and put it in a cool, dark place. Once the ground warms up and dries out a bit, I will plant the 23 potato starts outside.